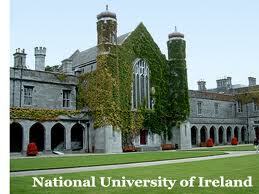 Course Level:Scholarships are available to pursue a structured PhD program at the National University of Ireland. Study Subject:The Scholarships offer opportunities for suitably qualified individuals to pursue a Structured PhD focused on the five keyareas of researchin which the University offers leading expertise- Biomedical Science & Engineering, Informatics, Physical, and Computational Sciences, Environment, Marine, and Energy, Social Science and Public Policy Humanities in context. Scholarship Award:The Hardiman PhD Scholarships are fully funded for four years, with a stipend of €16,000 p.a. plus fees. Eligible Countries:Scholarships will be awarded to European Union (EU) citizens, or to those who are ordinarily resident within a member state of the EU, a proportion of awards will also be offered to exceptional candidates who are ordinarily resident in non-EU member states. Entrance Requirements:Successful applicants will be expected to have a first or upper second class honours primary degree or equivalent. Applications will not be accepted from persons currently registered as PhD students.